Create The Life and Business Of Your Dreams. to help you in your journey. "Shai lives and breathes social media [snip]; also worked [snip] as an event speaker and is a bubbly, bright and highly engaging presenter. She is able to break the often intimidating world of social media down and create a clear way to grow reach in a way audiences really respond to. An outgoing, creative and hard working individual, she is not afraid to try new things to get results but does so with the highest of integrity to the brands she works for. Her results speak for themselves and I would happily recommend her." 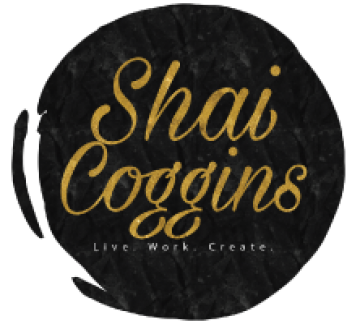 "Shai is very effective at combining creativity and business acuity in her work. Particularly in the area of writing and editing, she is able to produce content that not only supports the voice of a specific brand, but effectively connects with the brand's target market as well." "I've never had a coach before and didn't know what to expect. But it was a good first go. Shai helped me identify what my real goals are and then form good habits around it that I can sustain long term. It was also convenient as it was online but still as effective. A good first coaching experience for me!" Hi and Welcome! I'm Shai Coggins. Really thrilled that you're here. I hope that you find what you're looking for. Do grab a cuppa and explore the site. We're talking all things Creativity + Productivity + How To Recharge For Smart Creatives and Entrepreneurs. Check out our free content library, read the blog, browse the shop, subscribe to our email list, connect on social media, and do reach out if there's anything I can do for you. I'm here to help!